Ithaca, NY; August 11, 2018. 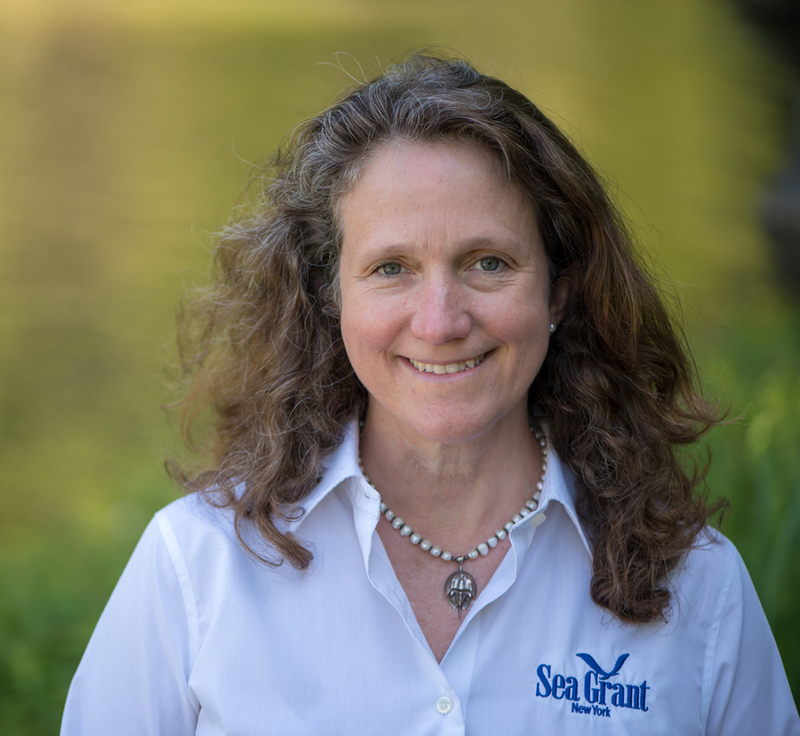 The New York Sea Grant (NYSG) Board of Governors and Stony Brook University Provost Michael Bernstein have approved the appointment of Katherine Bunting-Howarth, Ph.D., J.D., as Interim Director of the NYSG Institute. Bunting-Howarth has served as an Associate Director of New York Sea Grant since 2011; she will continue as Assistant Director of Cornell University Cooperative Extension, where NYSG maintains an office. Sea Grant also has offices in New York's Great Lakes region in Buffalo, Newark and Oswego. "I am honored by this interim appointment and the opportunity to provide leadership at the helm of the New York Sea Grant Program. Together, as a team, the staff of New York Sea Grant will continue to excel at 'Bringing Science to the Shore' to serve New York State's marine and freshwater communities," said Bunting-Howarth. Bunting-Howarth holds a Ph.D. in Marine Studies with a concentration in marine policy from the University of Delaware and a Juris Doctorate with a certificate in environmental and natural resource law from the University of Oregon. Bunting-Howarth will maintain an office at 112 Rice Hall at Cornell University, Ithaca, NY, and will also work from 125 Nassau Hall on the State University of Stony Brook campus. She can be reached at 607-255-2832 or 631-632-6905, kathybh@cornell.edu or katherine.bunting-howarth@stonybrook.edu. She is preceded by William Wise, who retired as New York Sea Grant Director in late June after a more than 40-year career in marine and environmental sciences. New York Sea Grant, a cooperative program of Cornell University and the State University of New York, is one of 33 university-based programs under the National Oceanic and Atmospheric Administration's National Sea Grant College Program. For updates on Sea Grant activities: www.nyseagrant.org has RSS, Facebook, Twitter, and YouTube links. NYSG offers a free e-list signup via www.nyseagrant.org/coastlines for its flagship publication, NY Coastlines/Currents, published quarterly, and an occasional e-newsletter via www.nyseagrant.org/blog. 0 Comments to "New York Sea Grant names Bunting-Howarth as Interim Director"